During August 2012, we will see the extraordinary rising of two full moons. The second of these, appearing on Friday 31 August 2012, is known as a ‘Blue Moon’, signifying the rarity of this lunar phenomenon. The moon is one of the cardinal influences guiding Avondale’s nature-friendly BioLOGIC® approach to wine farming. 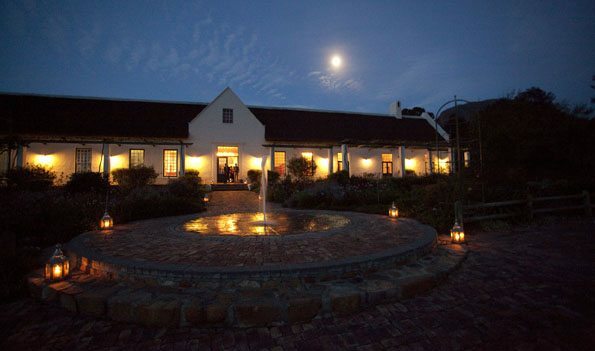 So it is not surprising that we are inspired to celebrate this once-in-a-blue-moon occasion by hosting an exclusive, usually by-invitation-only La Luna Dinner at the Avondale Estate near Paarl, alongside renowned Chef Reuben Riffel. In honour of this Blue Moon occasion, we are, for the first time, making a limited number of seats at a La Luna Dinner available to purchase on a first-come-first-served basis. On Friday 31 August 2012, Avondale Proprietor Johnathan Grieve will be collaborating with Chef Reuben at the estate’s elegant Tasting Gallery to produce a sumptuous five-course feast, each dish divinely paired with one of Avondale’s exquisite handcrafted wines. Guests will be taken on a journey of discovery to learn how Avondale uses the BioLOGIC® approach to create our range of extraordinary wines. R750 per guest / R1500 per couple.